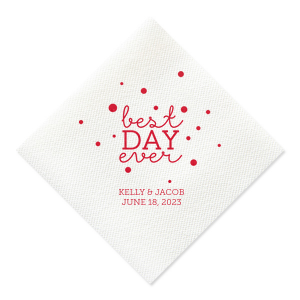 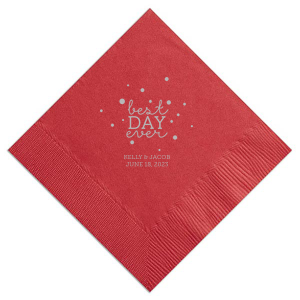 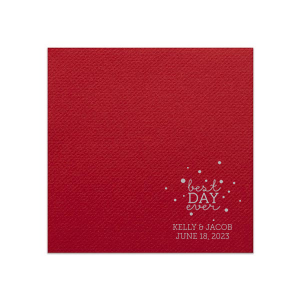 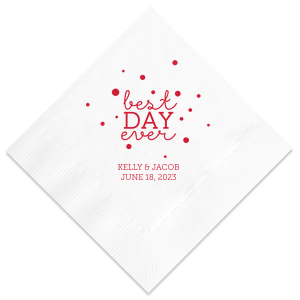 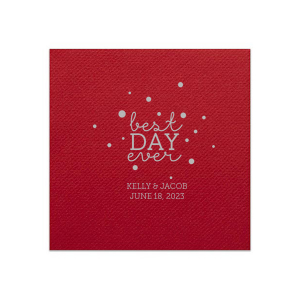 Have the best party details ever with this personalized napkin. 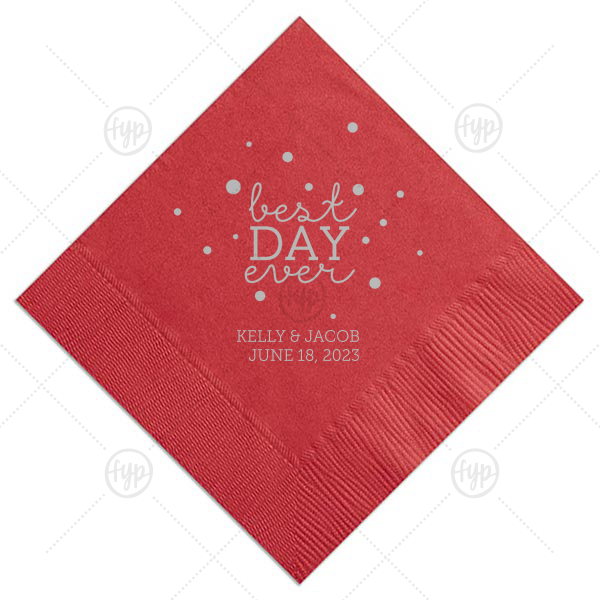 Our Lipstick Red and Bubbles make this design perfect to make any engagement party, rehearsal dinner or wedding pop. 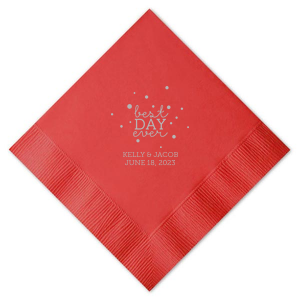 Add your names and engagement or wedding date for a bar addition you and your guests will love!